New Year! New Blog Post! 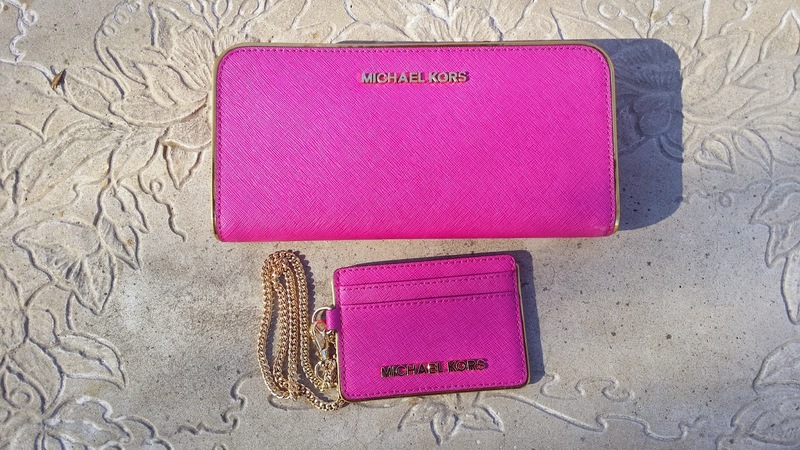 I have been in desperate need for a new wallet for a long time, so as part of my Christmas gift/New Year gift to myself I bought the MICHAEL Michael Kors Specchio zip around wallet with the matching travel chain case in the color fuchsia. 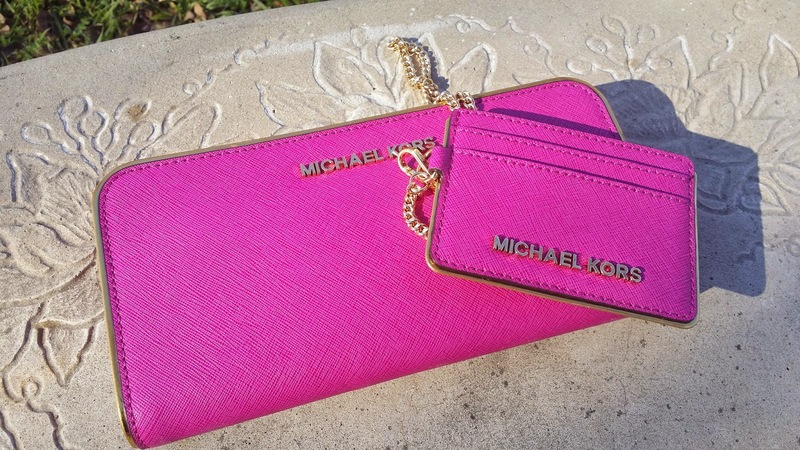 My old MK wallet was a zip around style, I loved that I could completely zip the wallet closed with out worrying about anything falling out. 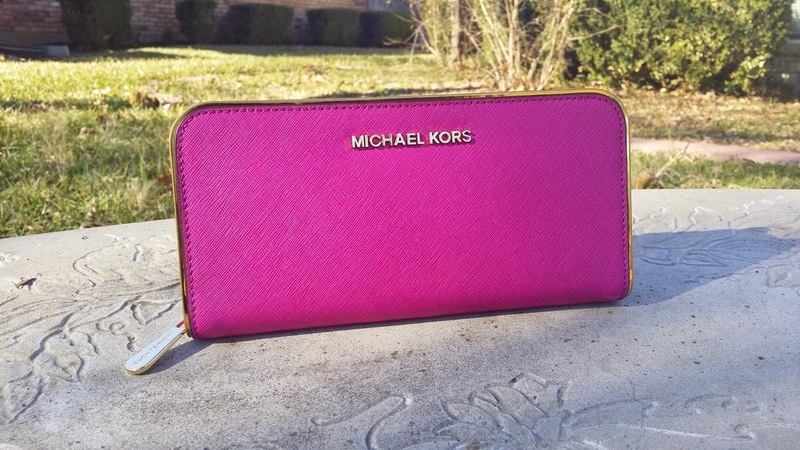 Plus the wallet was big enough for me to put my big phone in it (I have a iPhone 6 Plus). So as I shopped around for a new wallet I knew that it had to be the zip around style. I originally was only looking for a wallet but when a saw that there was also a travel chain case that matched I had to have it. The chain case is a perfect place to put your metro card if you use public transport or in my case I use it to hold my school ID so that I can easily access buildings on campus. 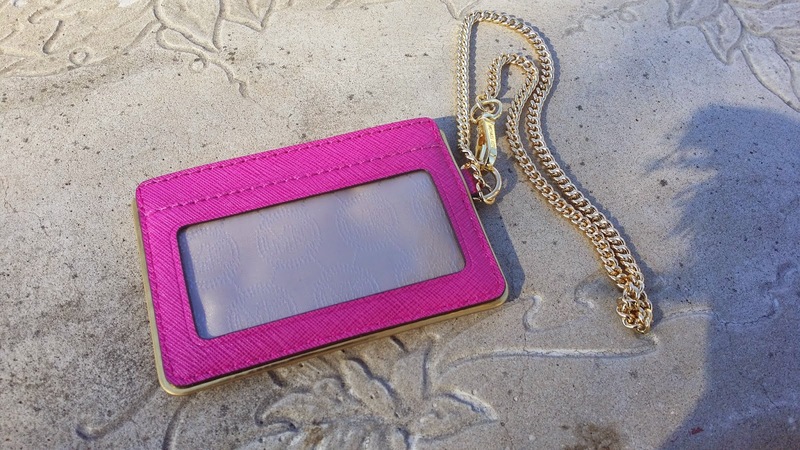 I am head over heels in love with the color of the wallet and the chain case and the gold tone accents add a pop sophistication to them both. 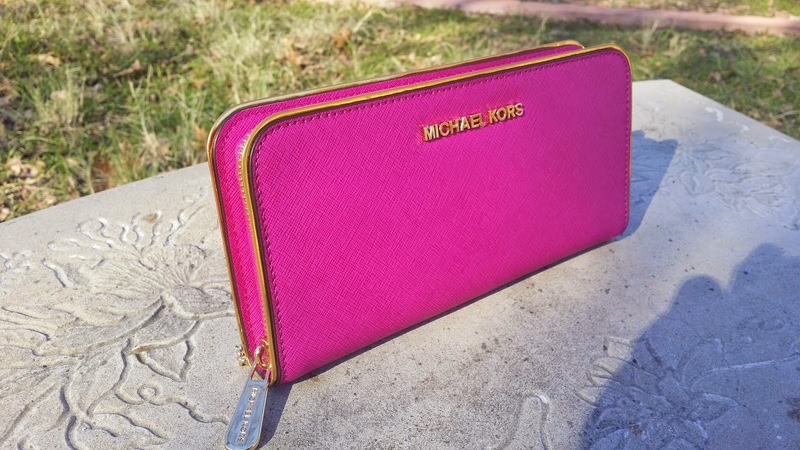 The wallet is made a leather and has 1 zip pocket, 4 inner slip pockets, and 8 card holders. 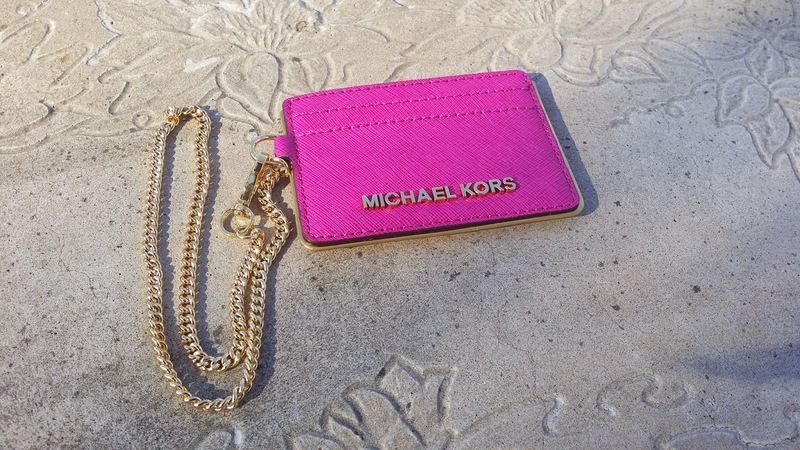 The travel chain case is also made of leather, has 2 card holders, 1 ID slot, 1 bill slot, and has a gold toned chain strap.